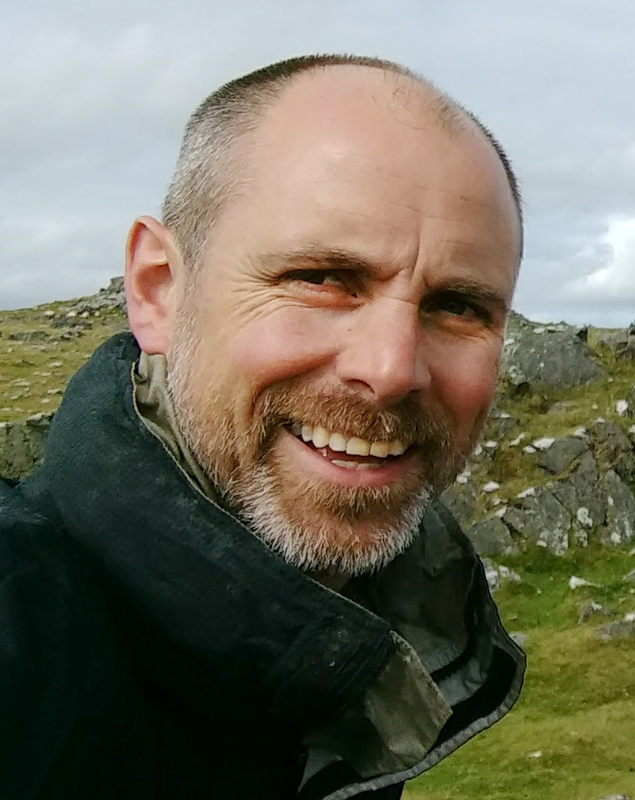 As part of our 25th anniversary celebrations, a number of the team will be sharing their own thoughts, ideas, frustrations and joys relating to the future of our West Country rivers and habitats. Laurence Couldrick, our CEO, kicks off the first opinion piece (printed in the Western Morning News on 1 April 2019). 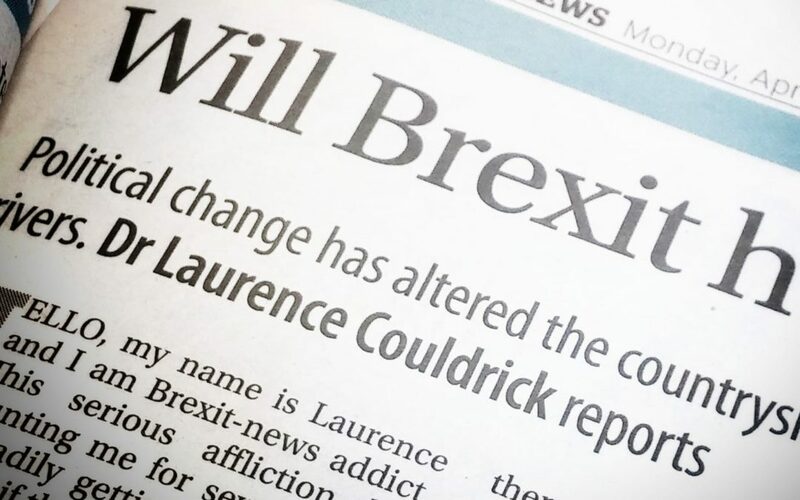 “Hello, my name is Laurence and I am Brexit-news-addict.” This serious affliction has been haunting me for several years and is steadily getting worse and I am not sure if there is a cure. As I sit watching Parliament fall apart, I find myself caught up with trying to second guess, along with many others, what this ever-changing political landscape will have on me, my family, the charity I run and the environment I seek to protect. The thing is our environment is forever-changing, it’s just we are often blind to these changes, as they tend to happen over generations. What’s concerning right now – in both politics and the environment – is the speed of that change and whether we can adapt sufficiently quickly. Before World War 2 our West Country agricultural landscape was one of small fields with relatively low livestock numbers and low nutrient inputs coupled with a lot of interconnected habitats. This landscape was sufficient to feed the smaller population that lived there, and it had a limited impact on the water flowing from our land. Our river catchments acted as big sponges where water slowly moved through the landscape and there were little pollutants to pick up as the streams and rivers made their way to the sea. Indeed, most of the major sources of pollution at the time were from other sectors, especially mining, which still has a significant legacy on our rivers and estuaries. Postwar the requirement to feed ourselves and not rely on other nations meant much of our inter-connected habitats, such as wetlands and hedges, were either drained or removed, and we used more and more nitrogenous fertilisers and crop breeding to significantly increase yields. This had the desired effect and food production went through the roof but there were unforeseen consequences of this, not surprisingly, knee-jerk reaction. Our river catchments no longer acted as sponges and water moves quickly off our landscape taking with it whatever pollutants it comes across and we started losing some of the species that where indicators of a healthy environment. Alongside this, the impact of our global industrialisation became apparent and it is absolutely clear the speed of change our climate is going through is creating vastly more uncertainty in our weather. In short, our weather is more extreme and a lack of resilience in our catchments means we will not be able to adapt to increased flooding, droughts and pollution without some form of significant intervention. We cannot go back to a pre-war landscape as we have 60 million people in the UK so need food, but we do need to be smarter about where that food comes and where we need to focus priority on drinking water, flood protection and other services we want. The current narrative of ‘public money for public goods’ is a welcome one but we should never forget that a lot of the things we need can be dealt with through relatively simple actions that save farmers money. Currently, over 40% of our soils in the West Country are severely degraded, which leads to them polluting our rivers and flooding our towns, but also not producing much food. This is because an unhealthy, compacted soil just doesn’t allow the crop to access the water and nutrients it needs. Alongside getting our soils right we can also look at the way our landscape is interconnected and try and slow water down by moving it away from the roads and lanes and recreating wetlands and moving poorly placed gateways. This is not rocket science, but it does require join up between regulation, markets and advisors. Where the Westcountry Rivers Trust has been able to work with farmers to do this we have seen incredible changes to the quality and quantity of water coming out of the farm as well as a positive impact on the farm business, but the speed of this change is not commensurate with the scale and speed of the problem we face. Further exacerbating this is how austerity has impacted on the public sector’s ability to regulate and monitor the environment, meaning that in many areas we are actually going backward, where farmers doing what they can to improve their farms have to watch those that are never brought to task. In many places, the charitable sector is filling the gap with citizen science and new monitoring technology, but this shift cannot happen overnight and needs to develop over time. So, will I be able to stop my addiction to Brexit-news? Maybe if the pace of change slows but I seriously doubt I can stop my addiction to understanding the speed of change in our environment as unfortunately, I see no end to this, and we all need to do our bit to help.